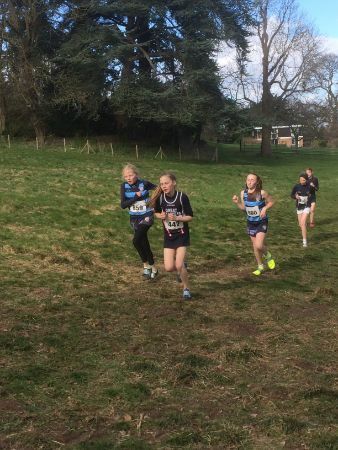 ‘The hardest thing I have ever done’ was the reaction of Lotty C at the end of the U13 girls’ race at Malvern: this was an event that demanded everything in terms of determination, stamina, resilience, fitness… and humour. 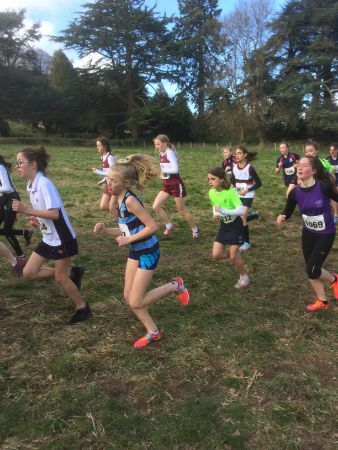 The 27th National Prep Schools’ Cross Country Championships took place on a sunny but devastatingly windy day in the grounds of Malvern College and on the nearby Common. 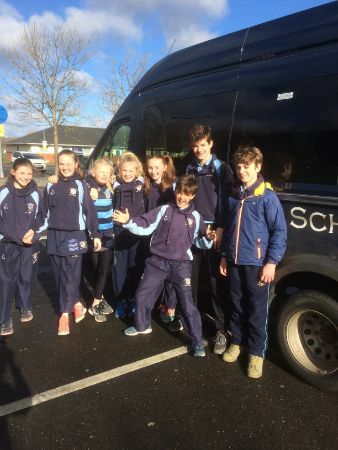 Athletes from over seventy schools travelled from all over the country on coaches, in minibuses and with parents to take part in this year’s event, the 2018 Championships having been cancelled due to The Beast from the East. 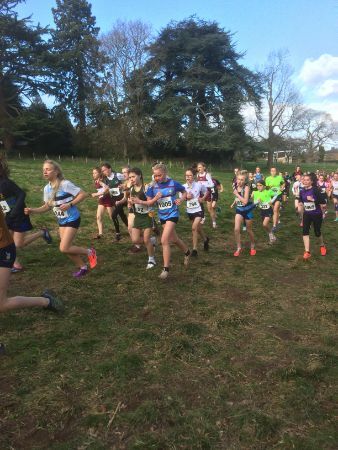 The course was tough: 2.6km for the U11s and 3.2km for the U13s, both girls and boys running the same distance. There was everything one could wish for at a cross country event: mud, water, hills, uneven ground, tussocks, wind (oh! The wind!) and a glorious run into the Finish on soft, springy turf. The start was a sight to behold, the children lined up, two schools to a narrow ‘pen’ behind a rope which was then dropped, allowing them to move (push, shove, elbow) forward to the start line. As the starting siren sounded, the children streamed away across the uneven turf to the (muddy) bottom of the first hill. There were fallers a-plenty, but fortunately, the Saint Ronan’s runners managed to stay on their feet! 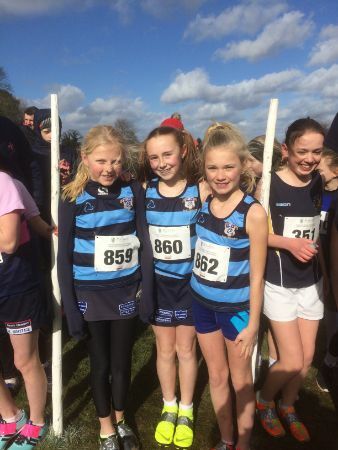 Millie DH and Lottie H were our representatives in the U11 girls’ race (this was the first time, since 2015 that we were unable to field complete teams - 4 to score – in all age groups), both running superbly, pushing up the hills, determination etched on their faces and, well matched in speed, supporting each other on. Lottie crossed the line 78th, and Millie 85th of the 261 finishers. Next away were the U11 boys: Bertie A got a good start but Jack E and Wilby W were not so quick off the line, trailing the field as they headed down to the first hill. This was the biggest race of the afternoon with 271 finishers. The initial hills were crowded, in fact, the boys had to battle the whole way to work through the mass of running, puffing bodies. Jack edged his way through the field, levelling and passing Bertie with a kilometre to go. In one of the kindest gestures I have seen in a race, Bertie patted his team mate on the back, gave him a little push and encouraged him on. Jack ran hard, finishing 120th with Bertie giving it his all in 145th. Wilby had the race of his life, pushing hard (but still finding the energy to smile), digging deep and storming across the final turf to finish, exhausted, in 228th. 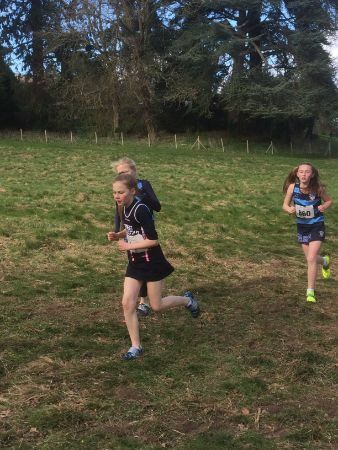 Our plucky U13 girls, running at the bottom of the age group in a field of 149 were the embodiment of tenacity and grit. It was hard, their legs hurt, but they never gave up, the blond ponytail of Bea W bobbing into sight as we waited for her on the final hill. Bea had a tremendous run to finish 63rd. The swinging bunches of Freya G were next to appear; both she and Lotty C worked together from the start, pushing one another on up the hills and crossing the line just seven places apart, Freya in 137th and Lotty, 144th. A real achievement! 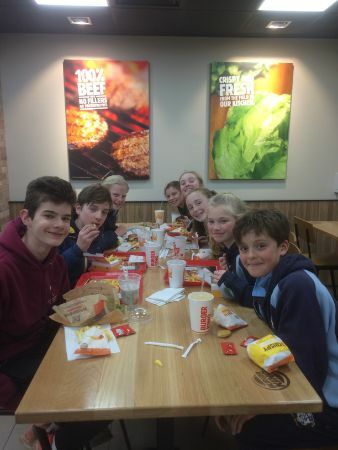 We had a complete team for the U13 boys – the race was on, with four of the five runners scoring in the competition. Lined up in the pen were Charlie E, Ellison VR, Jasper S, Max R and Jamie P. The boys worked really hard; responding to the cheers of the crowd and the support of the rest of the squad, they worked their way through the field, every one of them making ground as they tackled the second hill. Waiting for Charlie to appear on the final hill was agonising… he had fallen! Covered in mud down one side and nearly trampled by other runners, he had nevertheless picked himself up and, with true Ellison resolve, worked his way back up through the field. Ellison was next to appear, weaving his way through the mass of boys, with Jasper, determination evident on his face, driving his way up the hill. Max put on a fine spurt as he passed the supporters, gaining several places on the final hill. The boys finished 37th, 81st, 93rd and 127th, giving them a total of 338 points and 15th place, eight points ahead of The Schools at Somerhill! Jamie P who had been off games with a nasty gash to his knee ran a fine race and should be very proud of what he achieved – 193rd in The Nationals! 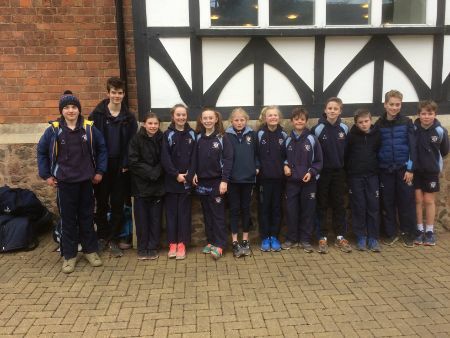 I was immensely proud of all the children: cross country running is tough; it’s a lonely place out there on the course, and this was a course and a Championships to test the mettle of the strongest runners. Whatever else they achieve in their sporting lives, I hope that they remember this day, remember how strong they were and, for those who will still be at Saint Ronan’s in 2020, that they toe that start line again next year! With thanks too to the parents who drove up, for all your amazing support, encouragement and help in organising the children and their kit. It was a great day!